I just realized not just that I read a lot of series books, but that there are also a plethora of series books out there, more so than it seems like there were back in the day. We’ve come a long way from Encyclopedia Brown and Nancy Drew. I even recall reading the massive horde of Star Trek books that were out there once upon a time. It was even interesting to read the ones by the same author, or to compare the different authors’ styles of that series. So, last week I was reading the second book in the Divergent series, and this week it’s on to the third (and final) book in the Delirium series. Requiem has been out for a little while now, but I was caught up reading a bunch of other stuff. In fact, it’s been so long since I read Pandemonium that I had to go and read a synopsis of that book to re-familiarize myself with the fringe characters and the plot at the end of that book. Ah, the glory of series reading! 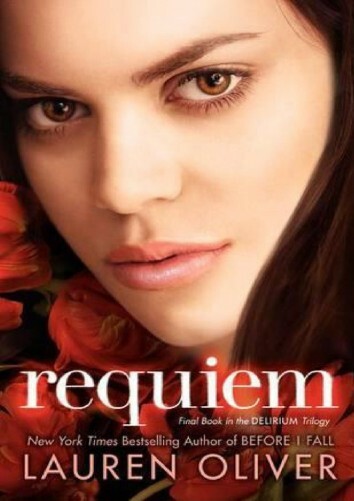 Requiem, by Lauren Oliver. After I got caught up on the series again I realized once again why I liked it in the first place. Society is breaking down, which makes sense since the society is based on this “cure” that will stop people from falling in love, because they say that love is a delirium that makes people do stupid things. Well, duh! I’m really interested to see how this one winds up. Mr. Penumbra’s 24-Hour Bookstore, by Robin Sloan. This one is strange, but it still has my attention enough that I renewed it from the library. Ooh, that would make a good entry. Renewed. Anyway, this store is a magic portal to another dimension, or something like that. Okay, so I’ll admit I’m slightly confused. I may just start this one over from the beginning again. The Sound of Things Falling, by Juan Gabriel Vasquez. This book club selection reads like just what it is, a book club selection. It is literary without being too stuffy, so I’m enjoying it. I just hope others in the group appreciate it as much as I have been so far. Running Blind, by Lee Child. This is the fourth book in the Jack Reacher series (see, another series book!) and I happen to be reading them in order, but I just got this one and I’m excited to get started on it. I think I may finish Requiem first, though, and get that series finished. Psychos: A White Girl Problems Book, by Babe Walker. I might be about to check this one back in. It’s the second book in a series, but I haven’t read the first one yet, and I thought it wouldn’t be a problem, but this is not a standalone book. I’m getting quite a bit confused as I read along, so I might just return it until I’ve read the first one. I’m going to read a few more chapters and then make the decision. There was this biography of Johnny Carson that I picked up last week from the local library that I really want to read, but it’s a “new” book and I just don’t have the time to read it right now so I sent it back. I put it in my phone’s list app, however, where it joined 10 other books that I need to get back to when I find the time to read them. Also on the list of books I need to get to pronto is the final one in another series, The One, by Kiera Cass. I was enchanted by the other two, so I look forward to when it finally comes in through the library.